My first 5K. Check out the form and all the cotton! 1) Do Stuff You Love! My running journey began very gradually. I love to play soccer, so that’s where it began. Every weekend I was lacing up my cleats to play on my indoor soccer team. Many weekends I would be scheduled for one game, but would be asked to sub for other teams that needed a girl player. One game became two, which led to my entire weekends being spent at the soccer arena. I didn’t really think about the running, because I was distracted by my love for the game of soccer. I thought to myself, if I am able to run around a field for hours on end, why wouldnt I be able to run? So, whether it be soccer, kickball, tennis, Zumba, Prancerising, or a plethora of other activities, start with something you love to do. Find someone that has clear goals for themselves as well. We’ve all fallen into the accountability trap where you find an accountability partner, but the second it’s too hot, too cold, or too perfect outside, they’re a no-show. Okay, I’m totally guilty of this. I HATE cold weather. Your accountability partner can be a friend, coworker, or a group of people. I’ve found strong accountability through my running club and blogging networks. One morning I overslept for a group run, and the next weekend several runners asked where I was. I would suggest letting your accountability partner know that you want them to be your accountability partner. Lets face it. Most of us are to hard on ourselves. Remember to celebrate the small victories. 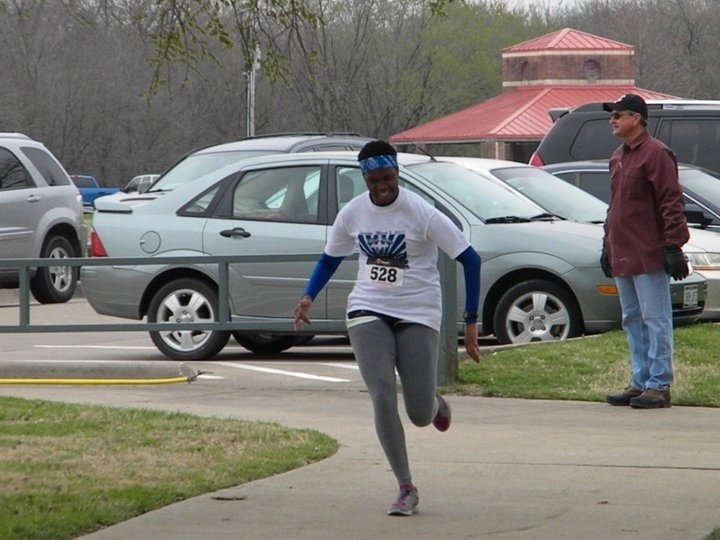 My first victory was running my first 5K race as an adult and not stopping. I didn’t win anything, but I told everyone how I ran this race and didn’t stop at all. That was exciting for me! Runners are excited to share and celebrate personal achievements with you. But, don’t bog yourselves down! Hope you are all enjoying your summer so far! Hope that these are helpful tips you’re able to use if you’re just getting started. This entry was posted in Encouragment, Quick Tips. Bookmark the permalink. Love this! And your form may not be textbook, but you really look like you’re having fun and giving it your all!